The Agricultural and Pastoral show demonstrated excellence in agriculture and animal husbandry. These shows became an annual event in communities throughout New Zealand. Back in 1843 Auckland was mostly farmland, and the show began as a purely agricultural event. Its main purpose was to display livestock and promote the breeding of stud animals in order to increase stock diversity in the young colony. The Auckland Agricultural and Pastoral Association was the first of its kind in New Zealand. By the 1860s, similar organisations were appearing across the country and working to enhance pretty much every aspect of rural life. At about the turn of the century, more political matters were taken over by the new Farmers’ Union. From this point, putting on shows became the main focus of the agricultural and pastoral associations. By then the Auckland A & P Show had taken root, attracting bigger crowds and more industries. Only cataclysmic events such as the 1918 influenza pandemic and the Second World War (during which the showgrounds was commandeered as a military base) could prevent it. 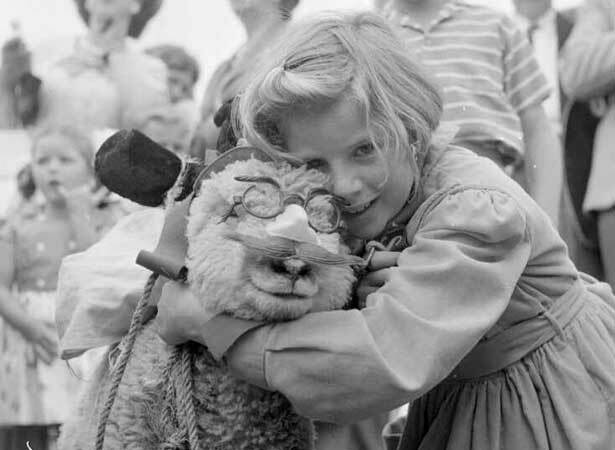 A change of name and season came in 1953, when the A & P Association and the Auckland Manufacturers’ Association combined to present the first ‘New Zealand Easter Show’. Nowadays Auckland’s Easter Show is one of New Zealand’s most popular family festivals. As well as traditional agricultural events, it includes a prestigious art exhibition, a wine competition, live entertainment, rides, crafts, sporting events, stalls and ‘The Cadbury Crème Egg Circus EGGstravaganza’. We have 4 biographies, 1 article, related to First Auckland A and P Show.